Retaining walls are not only used for structural support but sometimes used for aesthetic purposes. Retaining walls are carefully designed, planned, and installed to ensure quality, strength, and aesthetics. 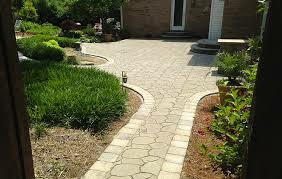 If you are planning a hardscaping project, it may be necessary to add a retaining wall to level parts of the project. Elevate Patios – to create multiple levels and outdoor living spaces. 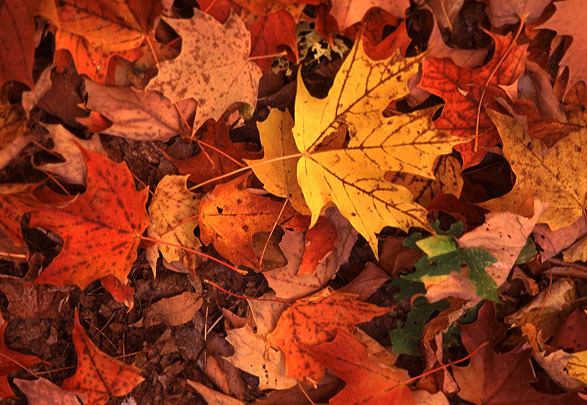 We can also add more interest by adding additional hardscape features that fit to your lifestyles such as water features, water falls, fire pits and/or outdoor kitchen spaces. Sitting Walls – other retaining walls are sometimes used as sitting walls. These walls give the patio a feeling of enclosure while providing additional seating space for guests. 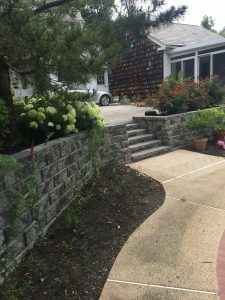 No matter the function or type of wall we build, our hardscaping professionals will build and install to at least industry standards and in some cases beyond to ensure a structurally sound product. 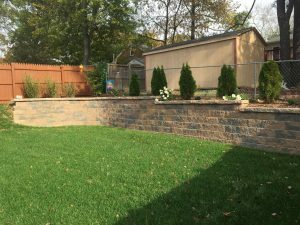 Contact us today to discuss designing a retaining wall for your property!